The Symbol MC9500-K has been discontinued. No direct replacement is available. 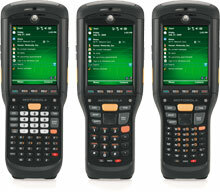 The Symbol MC9500-K rugged, handheld mobile computer leverages all the flagship features and functionality of Symbol's signature MC9000 Series rugged mobile computers, while introducing many new capabilities defined through extensive research and testing. The new ergonomic form factor gives this sleeker, smaller handheld unsurpassed performance with one-handed operation, while its rugged design makes the MC9500-K suitable in any environment. Incorporating the latest in technology, including expanded processing power and an upgraded operating system, the MC9500-K puts powerful new capabilities into the hands of your customers' employees. These new features will seamlessly integrate with current technology on Motorola's common platform and its modular capabilities provide the flexibility to customize its functionality to best suit your customers' needs. 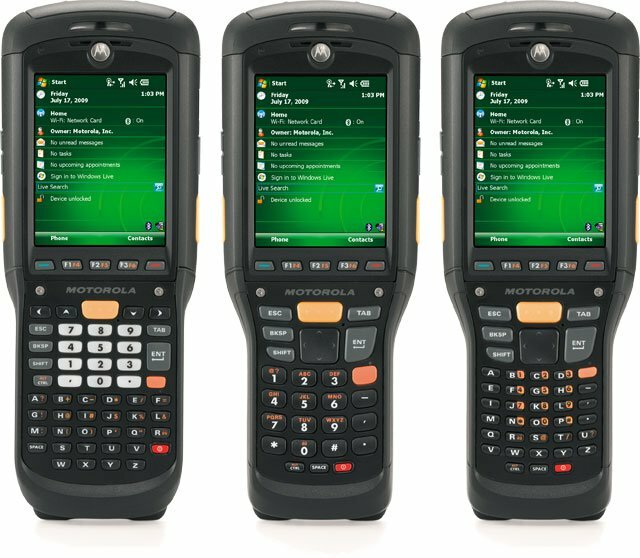 The MC9500-K's 3G WAN with integrated GPS capability, along with a number of practical new innovations and a game-changing approach to battery and backroom management, takes rugged mobile computing innovation to a new level. Anywhere you may encounter water, dust/particulate matter, or extreme temperatures the MC9500-K is the unit of choice for failure free operation. The unit is even capable of being submerged in water so it is well suited for outdoor applications like shipyards, oil field servicing, and construction sites. Even demanding indoor environments like freezers and food processing plants are not a problem. It isn’t technically indestructible, but of the units currently available, it is as close as you can get at a price point well below competing devices. Available with all the current wireless communication options and scanner types the MC9500-K can be integrated into any field application. It is overkill for most applications but if you have a physically demanding environment and the time/cost of hardware failure is not an option the MC9500-K is your most reliable choice.